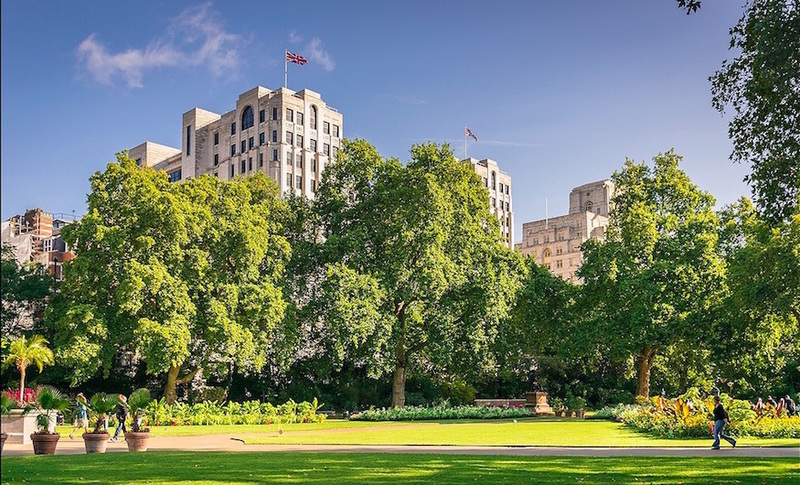 For many Londoners, Victoria Embankment Gardens is best known as the location for London’s only statue of a camel and as home to the York Watergate (as recently celebrated in a song by Big Big Train). This wedge of green on the north bank of the Thames between Charing Cross and Temple always had a certain grace and peacefulness that can be hard to find so close to Trafalgar Square. But that could all change when the park hosts a huge new temporary theatre, designed by the people behind South Bank’s purple Underbelly, which promoters plan to install in the park near Villiers Street from February 2017. According to campaigners, the 650-seat venue will host “large-scale theatre productions eight times a week for over nine months a year, initially for three years”, effectively annexing a significant portion of the park for much of the year. Indeed, when allied to events that take place around Christmas, “it will effectively open up year round commercialisation of the open space with the associated exclusion of the public contrary to the purpose for which it was placed in Westminster's trust,” says campaigner David Codd who has estimated the theatre will take up 21% of the heart of the park and more than 15% of all usable space. The undertaking is supported by Westminster Council – who are eyeing huge potential revenues – despite the objections of City Hall, Historic England, the Open Space Society and the London Parks and Garden Trust. The local North Bank BID (Business Improvement District) has offered support, although this came before consulting members. It is a prime example of the increased commercialisation of public spaces as cash-strapped councils seek to use parks as a way to raise revenue rather than drain them of cash, an undertaking that is often unavoidable but can lead to backlash as councils over-estimate what park users are prepared to tolerate. Even privatisation zealots Wandsworth, the council that leased its trees to Go Ape, were forced to scale back plans to hold another Formula E motor-racing event in Battersea Park after objections. The problem is that park funding is non-statutory – it’s not a service councils are required to provide – so budgets are easy to slash and have subsequently suffered considerably in recent cuts. 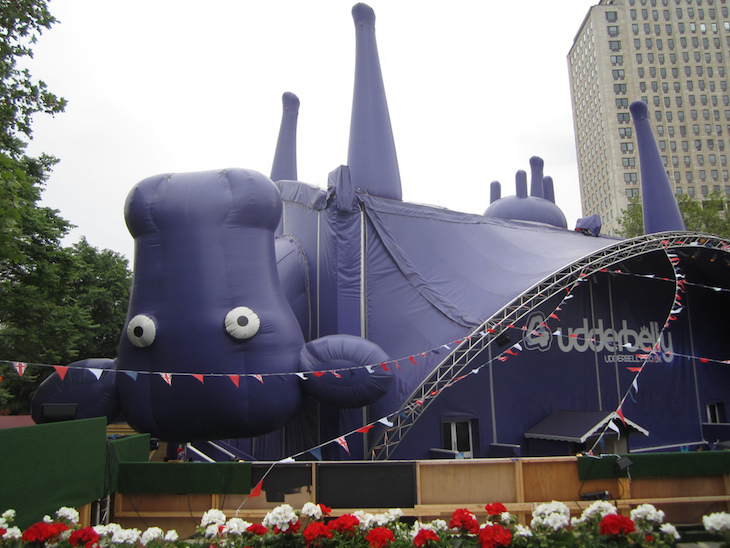 Moreover, a park can actually be used to raise money – just like any other piece of land – making endeavours like Underbelly’s hugely attractive. Most councils have responded to the challenge by hosting small music festivals, sporting events or filming, understanding a need to get in and out of the park as quickly and unobtrusively as possible, creating as little damage as possible. The issue is always one of balance. Residents will usually accept a certain amount of interference, but a council has to tread carefully because a park belongs to everybody. For some, the park is the only green space they get a chance to regularly visit, and nothing should get in the way of a park’s principal role as a place for local people to meet, play and promenade. This is just as true in an area as central as that around Victoria Embankment Gardens, where green spaces are fairly uncommon. There are still people who live and work here, who need those parks for health of body and mind. Handing over a huge part of a park to a theatre – effectively privatising the space and turning it into an extension of the street – is unforgivable. 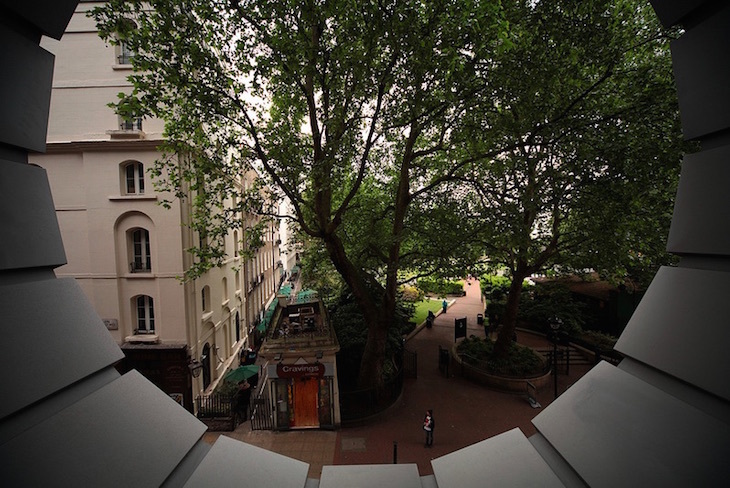 What’s particularly upsetting is that Victoria Embankment Gardens has always been defined by its relative serenity. A walk along the river here is nothing like the one you’d experience on South Bank, which has plenty of charms but far too many tourists. Before Underbelly, you could walk from Charing Cross to Temple in relative seclusion accompanied only by the odd worker and some very interesting statues. This should be something to celebrate, but Westminster seems determined to pump the area full of cash-rich tourists. The council is clearly jealous of the playgrounds across the river, forgetting that their own space is just as precious, albeit in a different way. While campaigners rebuff a connection, it’s difficult to separate all this from the planned Garden Bridge, another commercialised pseudo-public space that has been designed to destroy the contemplative peace of Temple and replace it with the wealth-making chaos of the South Bank. This could be the first stage in making the North Bank a direct copy of the South Bank rather than an alternative. That would be a great shame for Londoners who desire a little difference and the occasional moment of peace in their lives. Follow the campaign on Twitter.